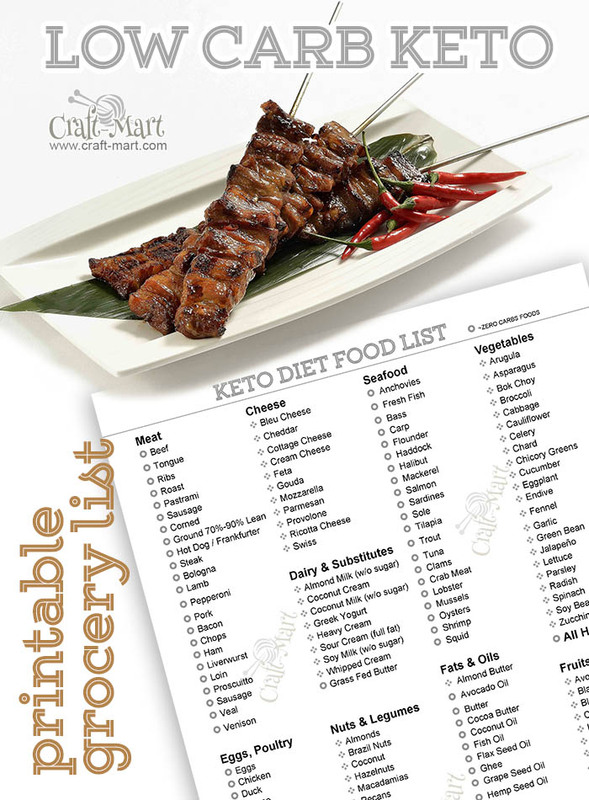 What is Keto diet and why do you need these printable low carb food lists? You may think that keto diet (ketogenic diet) is one of those fad meal prep ideas that come and go faster than we can snap our fingers but the fact is that the concept has been around for about hundred years. A very low-carb diet plan was designed, based on solid science, by researchers at Johns Hopkins Medical Center for epilepsy patients. The scientists noticed that avoiding all foods including carbs (fasting) for a brief period of time had positive health effects on patients. Though there are fasting clinics where you can fast under doctors’ supervision for a period of 21 days, for most of us, leading busy lives and taking care of children and families, it is not a feasible plan. That’s why the keto diet’s popularity has been skyrocketing as it is doing basically the same thing by tricking your body into ‘fasting mode’ by a strict elimination of glucose. In a nutshell, the keto diet is a low-carb, high-fat diet. It lowers blood sugar and insulin levels while it shifts the body’s metabolism away from carbs and towards fat and ketones. Switching from running on glucose (or sugar) for energy, our bodies turn into fat-burning machines by burning dietary fat and body fat instead. Following this low-carb diet is not hard once you memorize Keto food list. To come up with your own Keto meal prepping ideas many beginners prefer using printable low carb shopping lists. 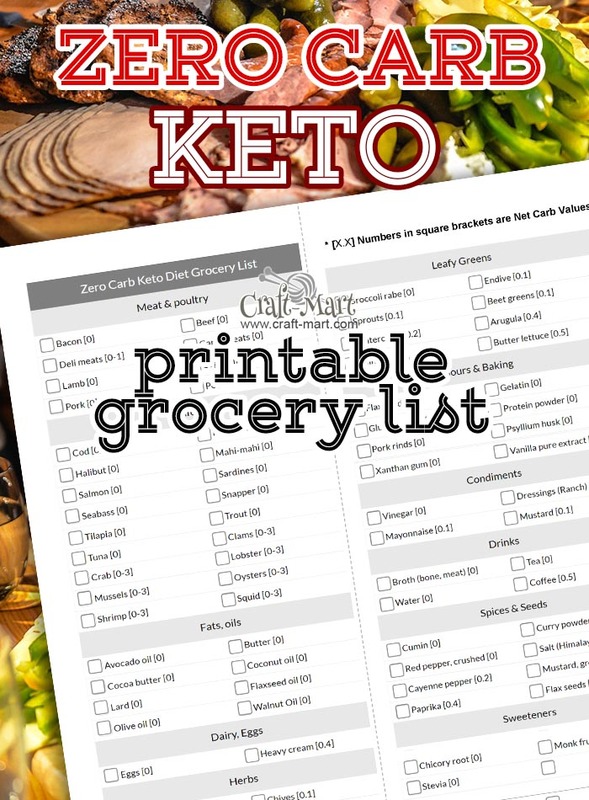 Why printable Keto grocery lists? They are easier to use than mobile phone lists because you can see right away different groups of foods from low carb count through high count without scrolling. In the beginning, buying Low Carb foods without a shopping list can be tricky. 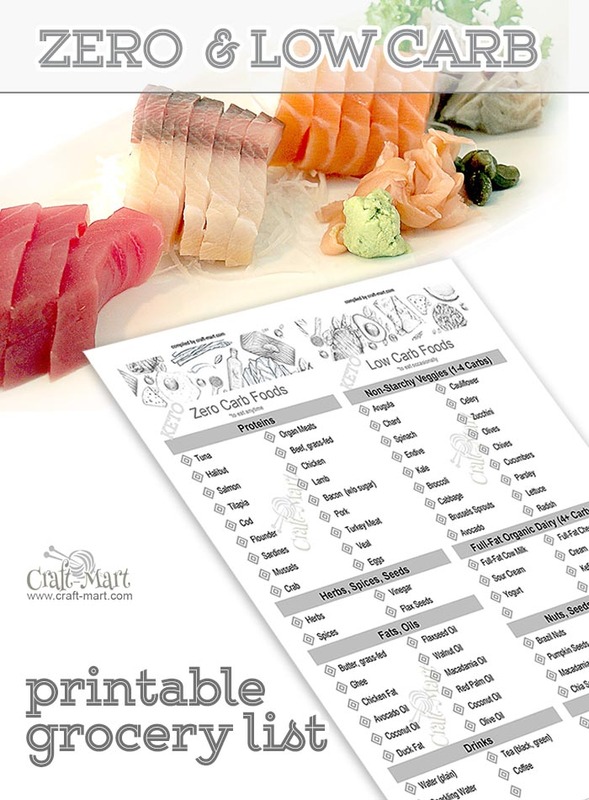 This is why we compiled several versions of the printable low carb food list along with interactive mobile lists that let you mark the items before or during shopping. Each of these lists may help you with your weekly meal prep recipes. What happens on a keto diet and what is ketosis? Note that ketosis should not be confused with ketoacidosis, which is a serious diabetes complication when the body produces excess ketones (or blood acids). If you are following a standard ketogenic diet, your body will enter a state of ketosis meaning that the source of fuel will change from fast-burning carbs to an alternative source of energy – fat. If you are wondering how to start a keto diet, do your research on ketosis. To help you understand and visualize this complex process, there is a chart of five steps of ketosis. It doesn’t happen overnight, as it takes a few days to shift your body’s metabolism after you start the keto diet. What foods are allowed on a keto diet? If you are a visual person, as most of us are, this chart below will help you decide on your keto meal prepping plan. You may think that this diet is very restrictive and your keto diet grocery list would be very limited. On the contrary, you’ll be pleasantly surprised by a variety of different foods you can include in your ketogenic diet plan. 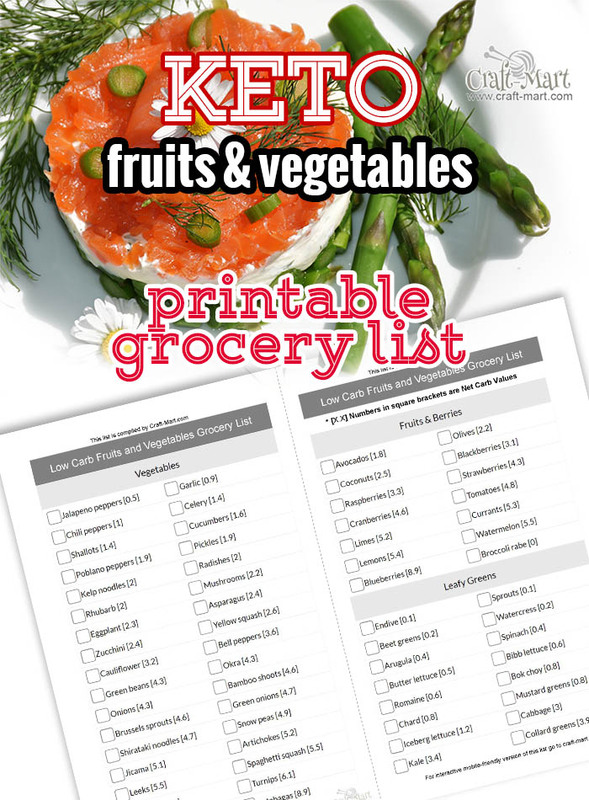 *download this ketogenic diet food list pdf for your grocery shopping or scroll down to the end of the post for a selection of a few different printable Keto diet grocery lists like Zero Carbs food list or List of Fruits and Vegetables. Fish (salmon, tuna, mackerel, sardines, anchovies) – SOUNDS GREAT! Drinks – LOTS of water; coffee & tea in moderation, bone broth. It doesn’t sound restrictive at all and it actually gives you a lot of great ideas for salads, grilled dinner skewers, delicious quick salad dinners, and easy crockpot meals you can do even on a budget. 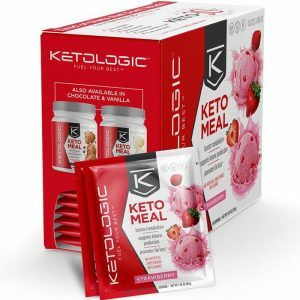 Alternatively, for super busy times when you are unable to go shopping for low carb foods, consider getting these organic and delicious Keto meal replacements that can boost your metabolism and will help to continue losing weight. These low carb meal replacements are especially helpful for people who have to go frequently on business trips. But that’s not all – on a keto diet, there are foods that you can use sparingly to add to your main meal prepping ideas or to break the monotony of a boring routine. For example, dairy products should be limited due to the fact that they contain natural sugars. It is important to add to your keto diet cultured dairy (plain, without added sweeteners) – kefir, yogurt, skyr (Icelandic-type yogurt that is high in protein), sour cream, hard cheeses. As your taste buds adjust to foods without refined sugar, plain yogurt topped with fresh berries can make a delicious snack or dessert! Probiotics (as in cultured dairy) may make or break any diet as they provide much-needed good bacteria that will help your body to digest and metabolize any food. Without probiotics, even the healthiest food you consume will just rot in your tummy without being properly digested and may cause leaky gut syndrome with its full bouquet of nasty symptoms. Berries: blackberries, strawberries, blueberries, cranberries, raspberries. What foods should you avoid on a keto diet? As you can see, there are lots of healthy foods you can eat on a keto diet, but there is also a list of foods to avoid (which is not too long, if you go by category). Refined sugar should be completely eliminated and while you are cleaning up your pantry and preparing it for a new start, there are some home-made natural sugar scrubs that your skin would thank you for. Sweetened & High-Calorie Beverages (soda, sweet coffee drinks (such as frappuccino), beer, wine, sweetened almond milk). As for many of us, this list represents many of so-called guilty pleasures and if you really want to try a traditional keto diet these foods and drinks must go. Your friends may miss you at the happy hour unless you are comfortable drinking unsweetened iced tea, but your tummy and your wallet may thank you later. Coffee lovers may jumpstart their day with a delicious and satiating coffee that’s rich, creamy, and full of high-quality fat. How? 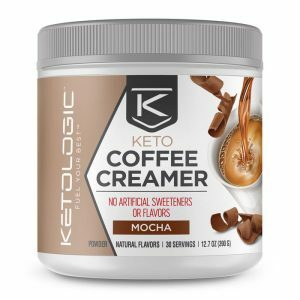 Get KetoLogic Coffee Creamer for your morning coffee to get your fat macros in for breakfast. These creamers have no artificial flavors or sweeteners, gluten-free, and are absolutely delicious!!! How to make a keto diet grocery list? 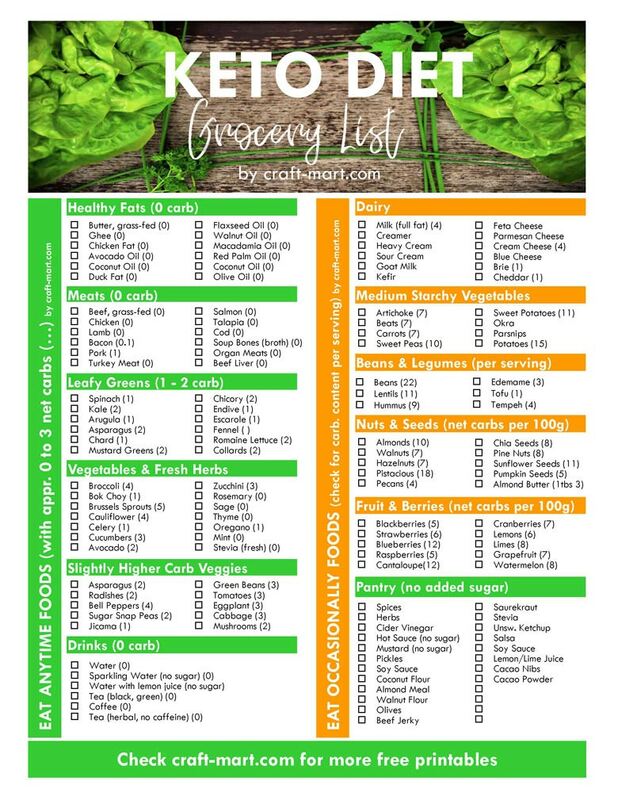 As all this information may feel overwhelming if you are just starting on a keto diet or have been struggling to stay on a low carb plan, we have made a simple KETO DIET FOOD LIST that you can download and print to help you navigate it with ease and confidence. Make a mental note to always check the labels, even if it is your favorite bacon you have been buying for years. You may be surprised that it has added sugar – who would have known! So check your grocery store aisle and see if you’d be able to find bacon without added sugar – it is not a simple task! So, staying away from processed foods and just buying meat, cheese, vegetables, and a few seasonal berries is a great idea for a ketogenic diet food list for weight loss. As you can see, occasional dairy (stick with CULTURED) is not on the list of foods to avoid, so plain yogurt and small pieces of hard cheeses will make a great snack on the go. 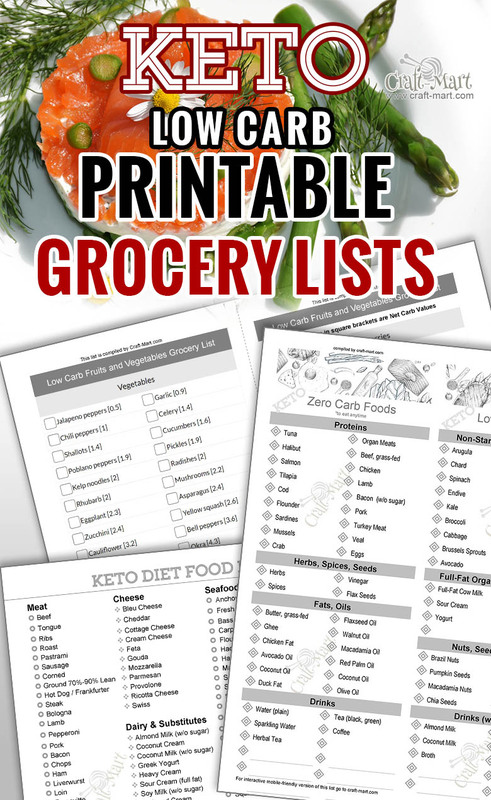 Download and print this FREE PRINTABLE KETO DIET GROCERY LIST (same as Low Carb food list) that will make your keto diet journey a breeze! The amounts in the brackets are net carbs (g) for 100 g of food or carbs per serving, where indicated. Below are a few black and white versions of the shopping lists. They can be folded in half like the previous full-color version of the Keto diet grocery list. *To download click or tap on the picture. The second PDF has 2 lists of Low Carb vegetables and Low Carb Fruits with carb count shown in square brackets. The third download is actually a General Ketogenic Diet Food list PDF file that marks Zero Carb foods with a circle-shaped bullet. The last Keto grocery list is a combination of the most popular Keto Diet foods in Zero Carb and Low Carb categories.